Among Grand Junction's spectacular red cliffs and winding canyons are the 11,000-foot Grand Mesa and the breathtaking 7,000-foot Colorado National Monument. Surrounded by an abundance of public lands – in fact, over 70 percent of the county is public land, Grand Junction is also a mecca for hunting, fishing, dirt bike and ATV riding. You can expand on this stunning scenery with other attractions including three national scenic byways, rafting, boating, golfing skiing, extensive public art displays, museums, 23 nearby wineries, and a vibrant downtown featuring creative culinary options and shopping. If you’re thinking of a summer visit to Grand Junction, Visit Grand Junction has announced many things to do in Colorado’s Grand Valley for 2018. 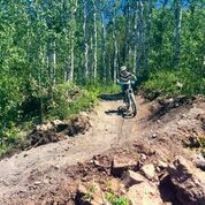 New mountain biking trails, water sport activities, summer events, and a sports shooting facility expand on outdoor recreation activities for which the Grand Valley is known. Opening this spring is a new segment of the One Riverfront Trail. 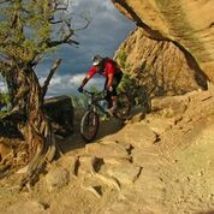 Mountain bikers, hikers, equestrians and trail runners can start their journey on the nearly 30-mile-long Riverfront Trail in Palisade, travel through Grand Junction and now connect in Fruita to the Kokopelli Trail, which extends to Moab, UT. Colorado’s first cable wakeboarding park, Imondi Wake Zone, will open in summer 2018 on a 30-acre lake in Fruita. Imondi’s five-tower cable system will pull up to seven wakeboarders in a counterclockwise circuit featuring obstacles and ride rails. New learners can access a separate two-tower system. 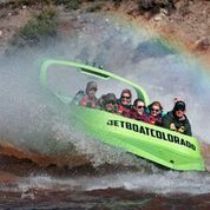 Jet Boat Colorado offers “the most exciting boat tour on the Colorado River” with fishtails, speed runs and “cowboy spins” on the custom New Zealand-style jet boats. Additionally, a scenic option lets riders slow down and take in the beauty of the mountain scenery. The Museums of Western Colorado’s Dinosaur Journey in Fruita will unveil a new exhibit, “Horns & Frills”, May 18 to Sept. 16; this exhibit will tell the secrets of dinosaurs’ combat and courtship and features new specimens, skulls and skeletons. Dinosaur Journey will also offer “Dino Digs” from May 22 to Aug. 15. 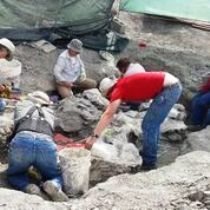 Guests can join professional paleontologists on half-, full- or four-day excursions and help discover ancient life-forms. Music is part of the summer landscape as well. Two Rivers Winery in Grand Junction will present “Music in the Grapevines” at its outdoor pavilion one Tuesday a month from May to September. In Palisade,Garfield Estates Vineyard and Winery will offer a music series, “Wines, Vines & Harmony,” two Saturdays each month from July to September. Outdoor concerts are also planned at the Las Colonias Amphitheater in Grand Junction throughout the summer. The Mountain Bike and Ultra Marathon/Relay Kokopelli 100 & 140 will take place September 7 and 8 on the entire 144-mile trail from Fruita to Moab. The new Cameo Shooting and Education Complex will feature world-class shooting facilities, safety education and law enforcement training as well as competitions. The complex broke ground in March and will be partially open to the public this summer. 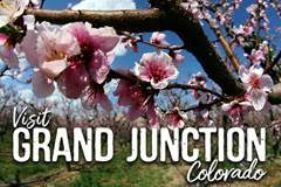 Grand Junction, the largest city in Western Colorado, is located at the junction of the Gunnison and Colorado Rivers, between Salt Lake City and Denver on Interstate 70.